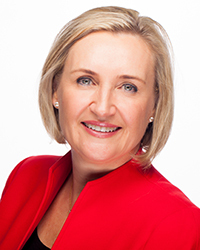 Robyn Valmadre, General Manager ‘Sales and Marketing’ at ASX300 company Villa World, is a dynamic property professional with over 25 years experience in property development, project marketing and sales. At Down Under Dreaming Brisbane 2018, Robyn will share her experience of Building a Connected Customer Experience. Robyn’s mantra is to understand Villa World’s customer by challenging her team to ask themselves “how would the customer feel about this decision?” This mindset has resulted in an enhanced customer experience through improved design outcomes and humanised service. In just 5 years, she has built a team that manages this customer centric journey from brand discovery to final handover, focussing on the ideal end-to-end home buying experience. Empowering her people and providing them with the technology to enable this vision has ultimately delivered the results, with the company reporting a record turnover last financial year of 1,678 residential sales.